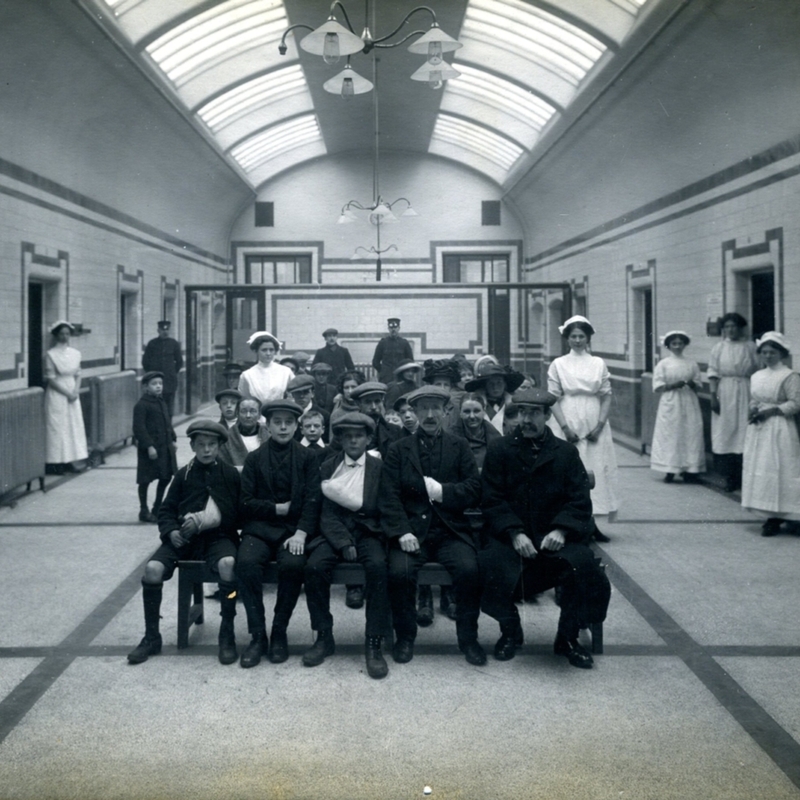 Photograph showing patients in the waiting room of the dispensary at Glasgow Royal Infirmary. Known as the Gatehouse, this became the busiest casualty department in Glasgow. Staff from the Infirmary's surgical units worked here one day per week (before the role of A&E doctors was established). The patients' details were recorded by the Gate Porter. 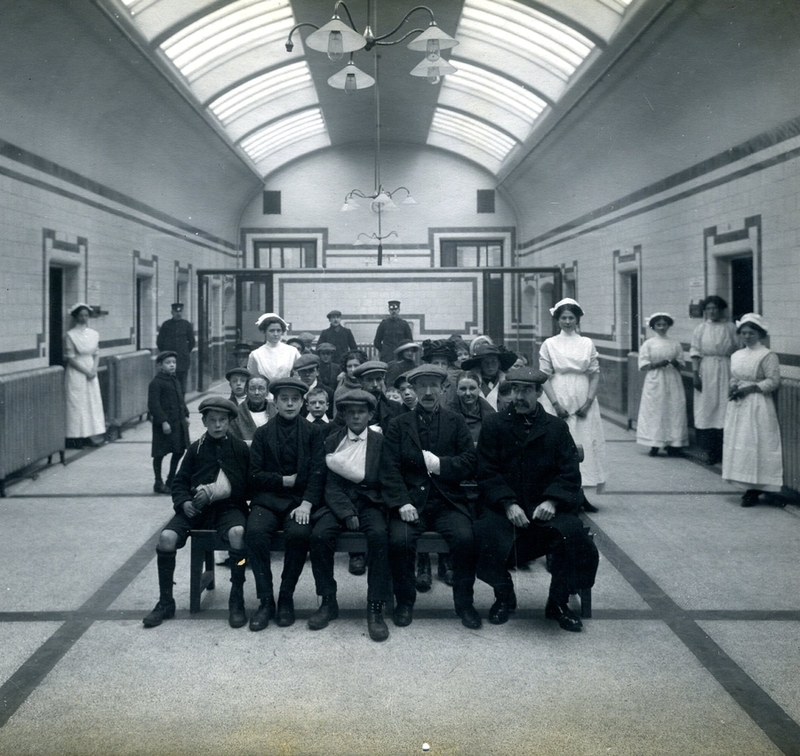 “Dispensary outpatients waiting room, Glasgow Royal Infirmary,” Heritage, accessed April 23, 2019, https://heritage.rcpsg.ac.uk/items/show/222. Description: Photograph showing patients in the waiting room of the dispensary at Glasgow Royal Infirmary. Known as the Gatehouse, this became the busiest casualty department in Glasgow. Staff from the Infirmary's surgical units worked here one day per week (before the role of A&E doctors was established). The patients' details were recorded by the Gate Porter.